Screen Skills Ireland has announced that ‘Passport to Production’, a 5 day training programme for new entrants to the screen industries, has started this week in Ardmore Studios with 17 participants. Passport to Production highlights the screen sectors’ commitment to giving new entrants the support and development they need, as well as increasing diversity and representation behind the camera. 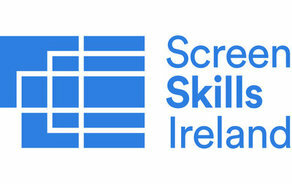 As part of an ongoing collaboration with the Screen Guilds of Ireland (SGI) at crew level, Screen Skills Ireland are working closely with crew in the industry to ensure new entrants are fully equipped to a high standard to start on set. Industry feedback internationally and nationally has continually highlighted the need for future skills like problem-solving, adaptive thinking, creative collaboration and emotional intelligence and these will form the basis of the course, which also introduces practical elements such as on-set safety, script reading and breakdowns, and shooting on location. Passport to Production will be one of the essential stepping stones to support new entrants on the job and on set, and will form the basis of the new entrant’s journey to working in the industry. The programme will give a broad overview of all the departments and help equip new entrants with the knowledge and some of the essential skills for working on set. There will be some practical elements during the 5 days in Ardmore Studios, which will consist of group activities, industry expert instruction and guidance, studio introduction, and a look at departmental case studies. The programme will be facilitated and delivered by industry experts and Irish professional crew, such as: Gemma O’Shaughnessy (Line Producer and Key Tutor) who was instrumental on the Red Rock Training Scheme with BAI / Element Films; Dan Birch (Sound Mixer); Irene O’Brien, (Art Director) and tutor on many previous SSI programmes; Nicola Jackson (3rd Assistant Director) and previous SSI guest speaker; Kevin Cahill (VFX Supervisor); Lucy McKenna (Design Thinker); Alan Butler (Camera Operator) and previous SSI tutor. All of the guest speakers are professionals with years of experience in high-end TV drama and feature films here and abroad, and all are advocates for skills development in the industry. This year has seen fantastic industry participation with the formation of numerous guilds bringing increased crew involvement across multiple Screen Skills initiatives. Passport to Production is just one of many skills development initiatives that Screen Skills Ireland are developing this year to engage crew in delivering skills development for new entrants into the industry. ‘Introduction to the Props Department’ will run in Limerick from the 26th of February tutored by Property Master Noel Walsh, and more introductory courses for new entrants tailored to individual departments are planned for later in the year. This adds to previous initiatives like the Vikings Production Workshops in December 2018, and longer-running programmes like the Nightflyers Production Training scheme based in Troy Studios, and the VFX and Animation Graduate Traineeship, a highly successful programme from which 90% of graduates go on to further work in the industry. Passport to Production continues the commitment of Screen Skills Ireland to giving new entrants a way in to the Irish screen industries, with the help and collaboration of various industry bodies, guilds and crew alike.